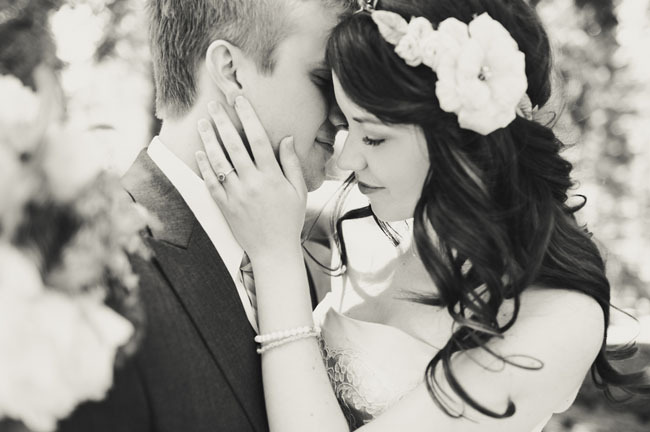 I fell in love with this wedding. 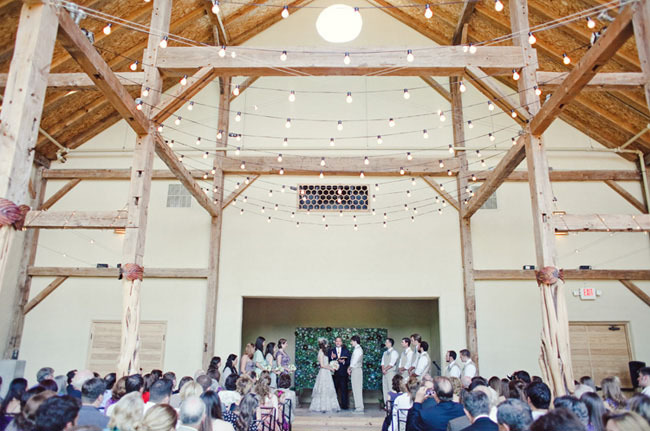 I was just browsing Green Wedding Shoes, when up popped this elegant, country wedding. 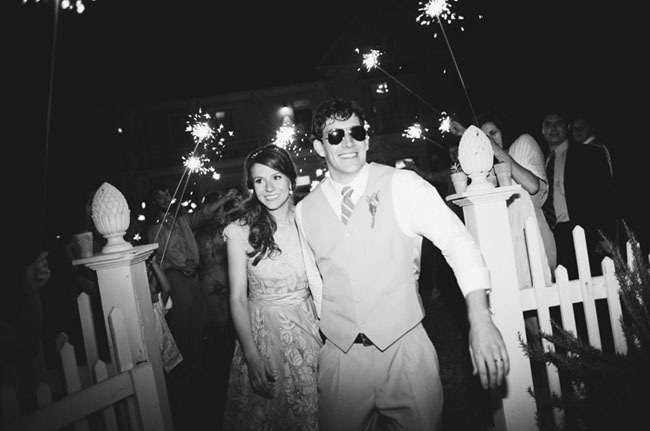 It’s my favorite kind: when the bride and groom are reflected in all the little details. 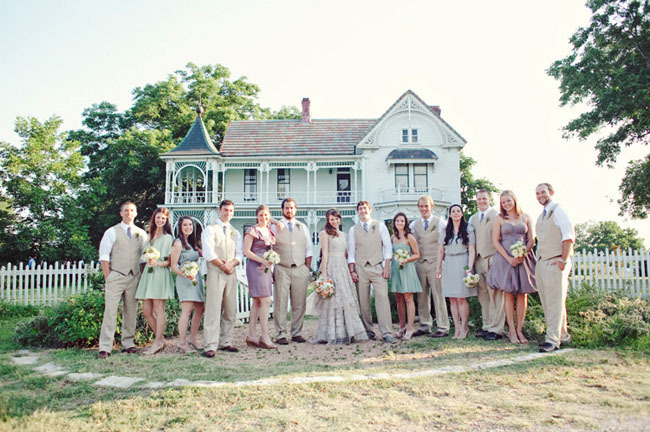 The bride opted out of a white dress for this creamy brown color, but the event is still fairly traditional. Dreamy. And what is that behind them, you ask? Why, it’s a wall of succulents. The more I hear about how simple it is to grow and take care of these little fellas the more I want a bajillion of them. For their cake design, I pulled inspiration from a few different sources. One being the beautiful house they had the reception at. 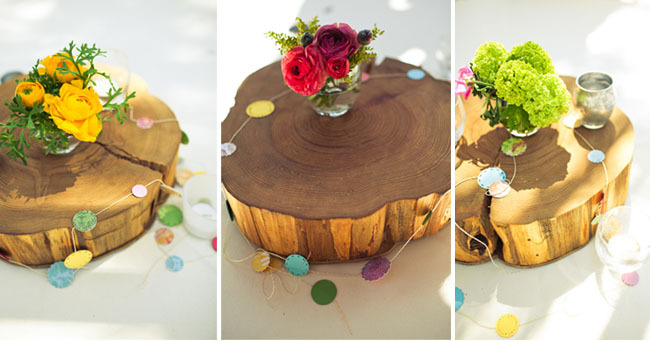 Each tier would be a color from the wedding, with white details that reflect this quirky little house. 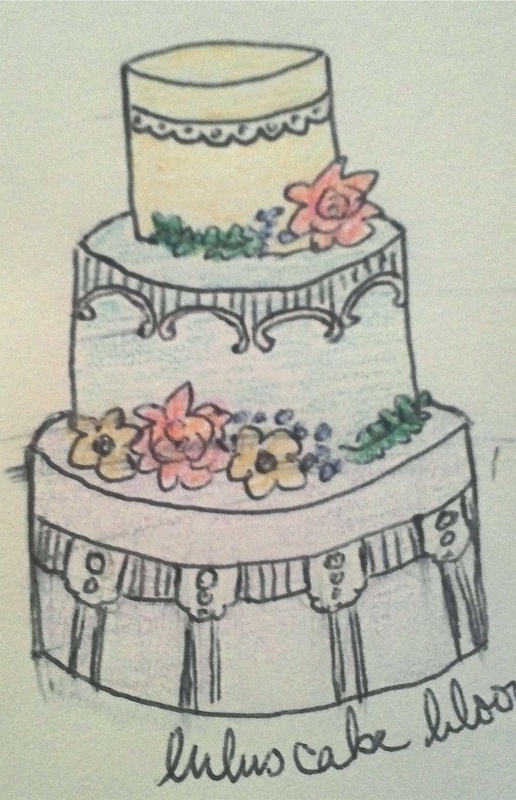 It’s a three tier cake that would serve around ninety people with gum paste flowers. 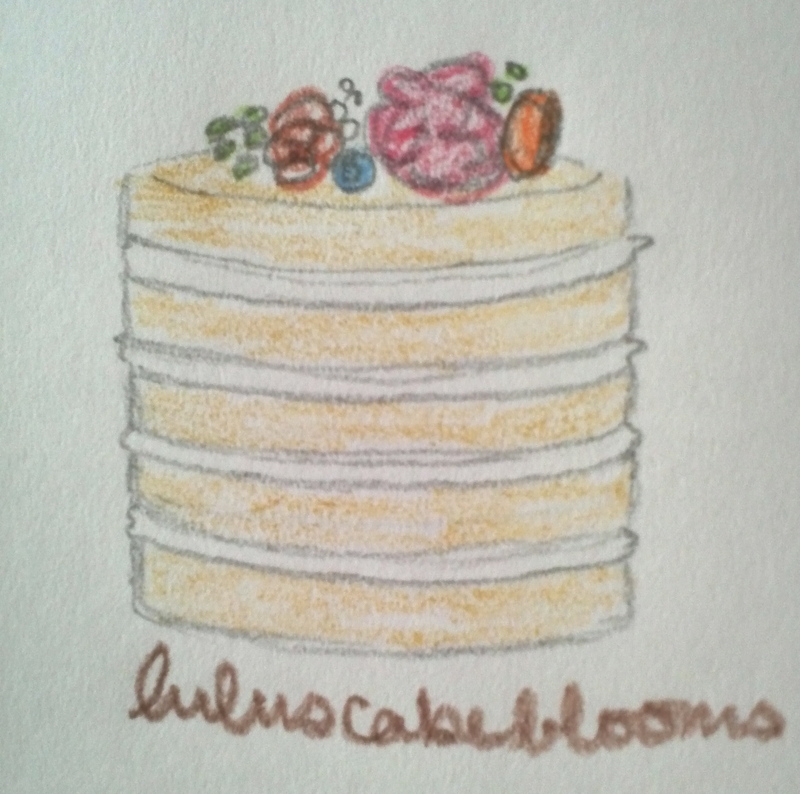 I’m making the cakes for my friend Liz’s wedding and one of the flavors they have requested I think would be really great here: a lemon honey lavender cake. 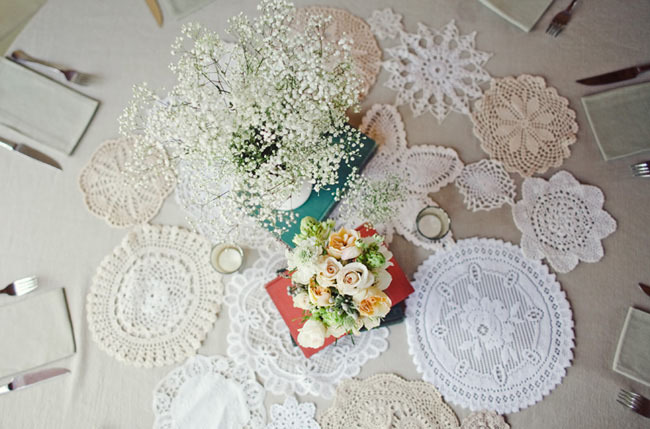 I know there are instructions on how to make these doily table runners yourself, somewhere. So pretty. The Nichols did a beautiful job photographing this lovely day. This entry was posted in Cake Designs and tagged cake, colorful, country, design, dessert, doily, elegant, gum paste, house, pastel, sugar flowers, tiered, vintage, wedding on July 25, 2012 by Lulu. And I love the flower wreath. 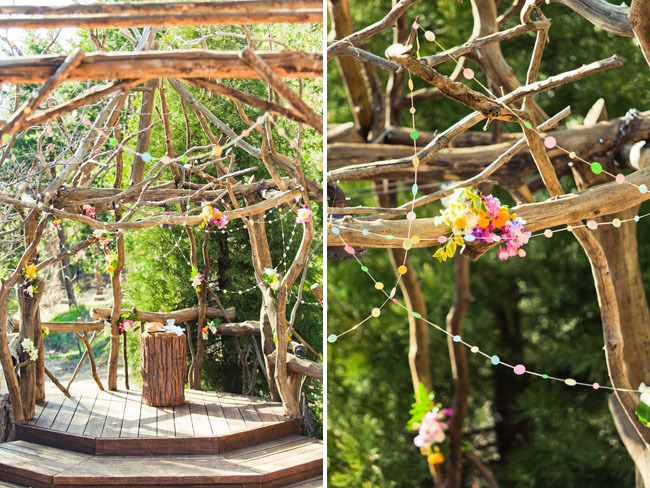 That is another of my favorite wedding trends. Maybe in the next few weeks I’ll design a cake just for wreaths. But back to this wedding. It’s bright, playful, but elegant. 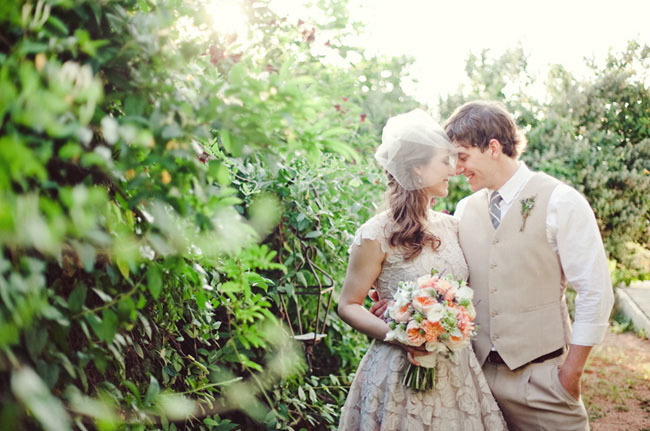 I love the lace of the brides dress, yet it still contains the mystical, almost elven grace. (I knew my dorkiness was going to come out here soon). Their colors are very celebratory. 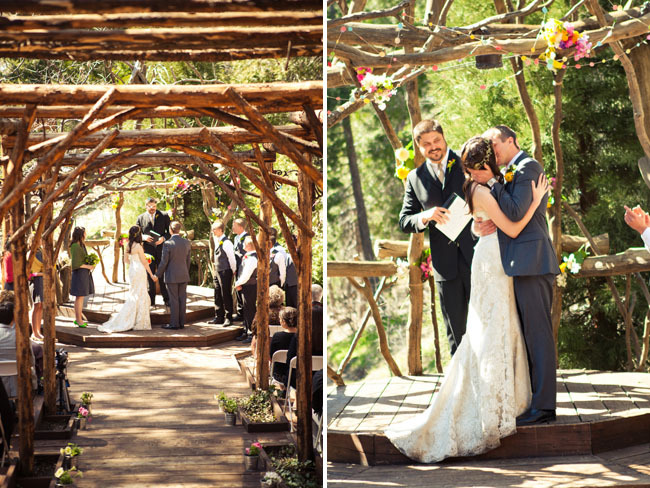 Almost a brighter version of what the “typical” woodland forest wedding would lean toward. The cake I designed for this couple is a “naked cake”, or a cake that doesn’t have fondant or frosting covering the sides. This is a great option for couples that don’t like a lot of frosting. It also creates a rustic, spontaneous feel. 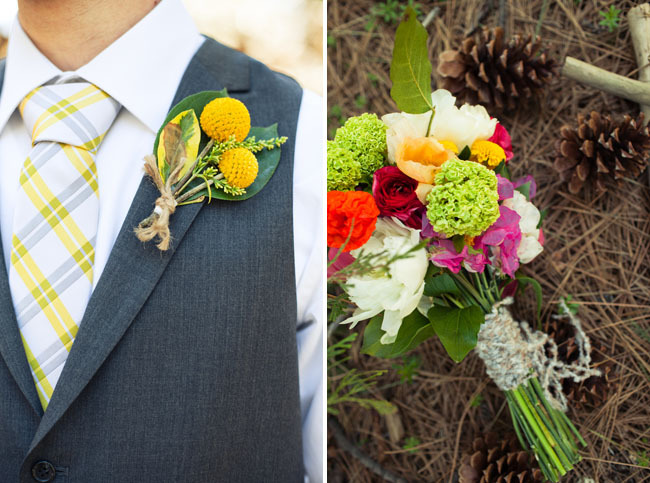 On top would be gum paste flowers, pine cones, and accents that matched the colors of their day. 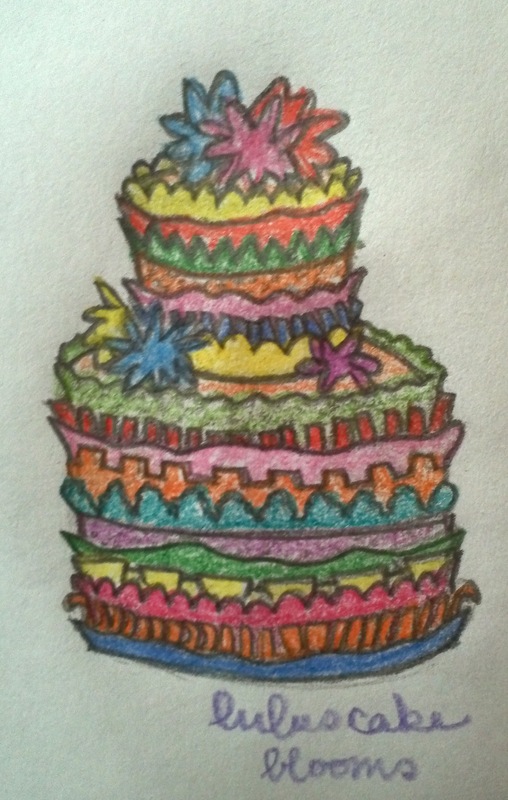 The cake would be twelve inches around at the base and fourteen inches tall. Don’t be fooled! A naked cake is hard to do. The cake maker would have to cut the layers and frost very evenly, unlike in a real cake, where any lopsided-ness can be made up for, and then hidden under the “topcoat” of frosting. This cake would feed around a hundred. I didn’t forget to show you her dress! Flavorings for me would be hazelnut cake with vanilla frosting and a wild strawberry filling (you wouldn’t see the filing from the outside of the cake). Keepin’ it woodland-y. 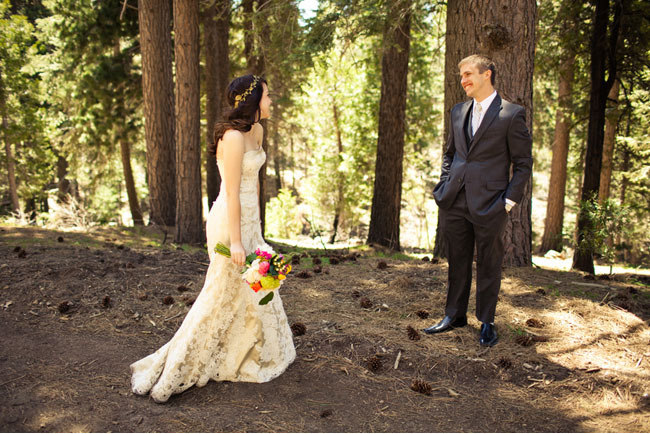 I found this wedding on Green Wedding Shoes, which has become one of my favorite wedding blogs. Thanks to my lovely sister, who pointed them out to me. Photography by Shannen Norman Photography. This entry was posted in Cake Designs and tagged cake, colorful, design, dessert, elegant, fantasy, gum paste, naked, playful, wedding, wonderland, woodland on May 1, 2012 by Lulu. I’m excited, guys! 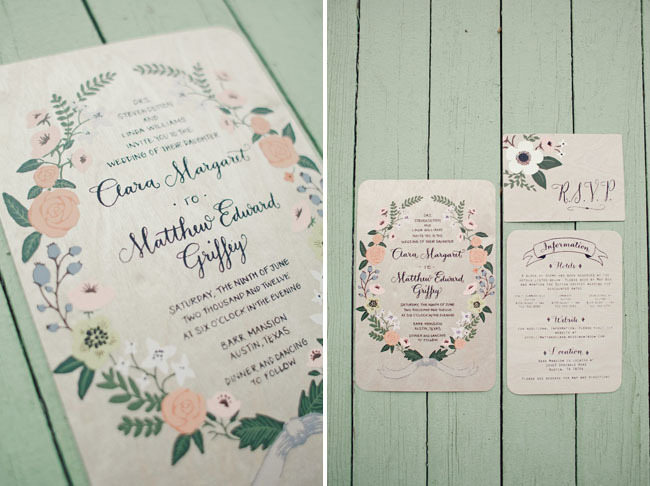 Etsy has started their own collection of gorgeous weddings! 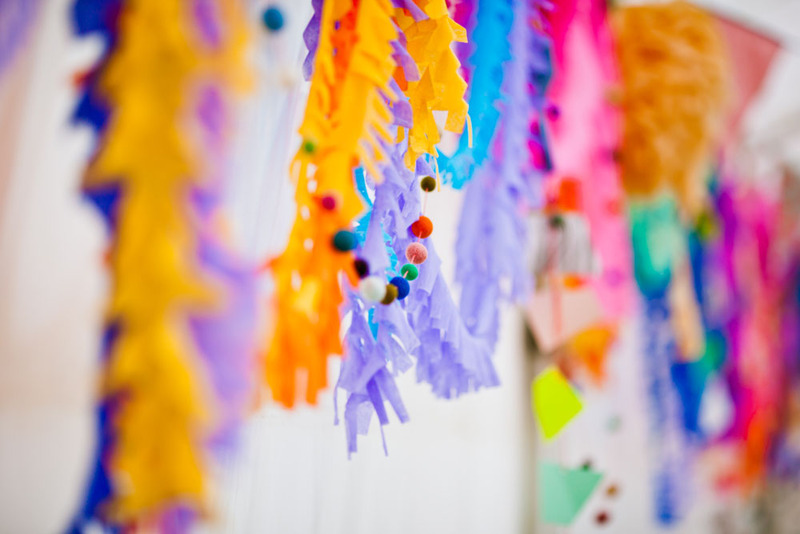 Who is better to do that than Etsy? 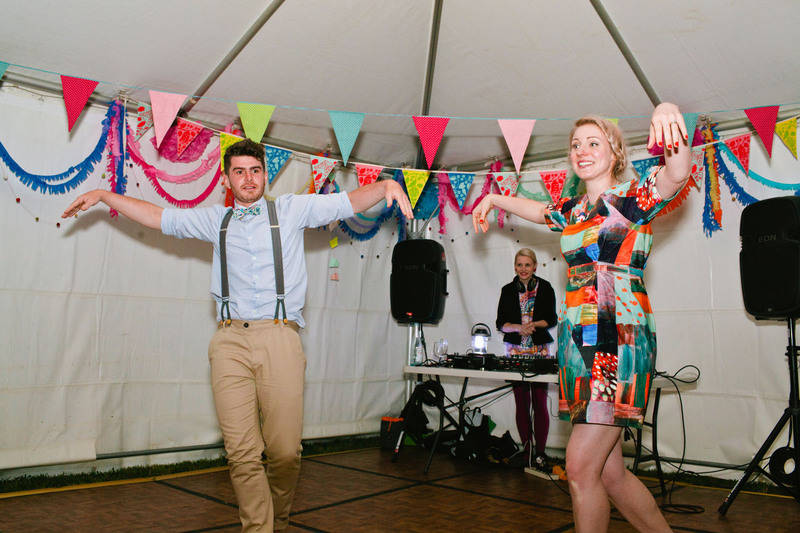 This wedding post is in honor of such a delightful new source of funky big days. This wedding is a bold statement. 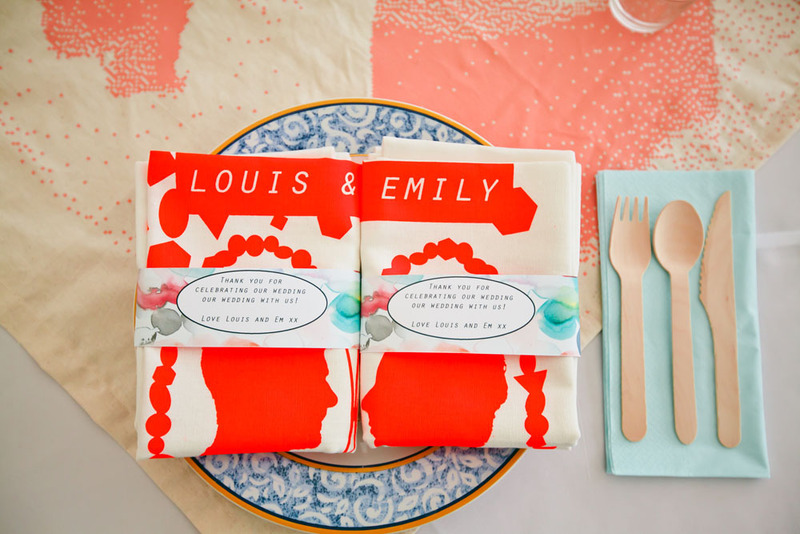 Brightly colored, fanciful patterns, there is no limit to the amount of fun going down here. Adorable right? The bride, believe it or not, is on the right! No white dress for this lady. 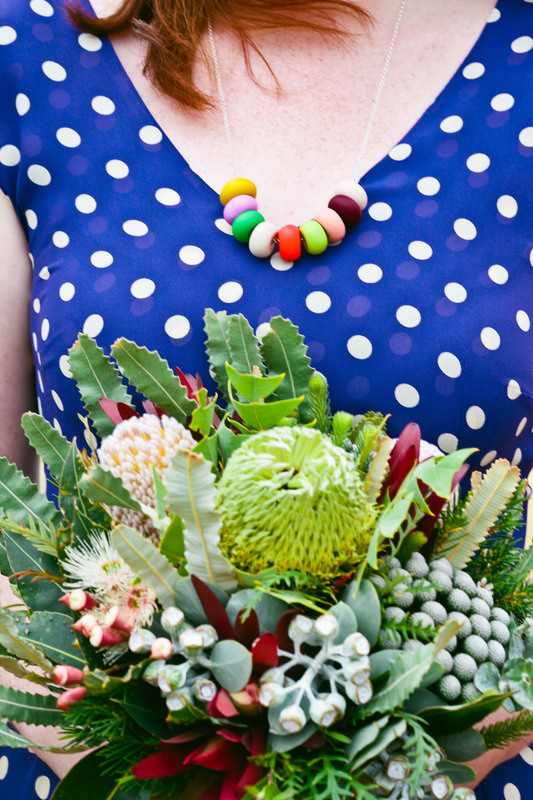 I love bold brides like this, she’s dressing in her own flavor–all the way–yet she still stands out. The cake embodies the day, I think. Lots of textures, lots of colors, all layered together. The cake stands seventeen inches tall (serves about a hundred and forty people) and is layered with colorful fondant frills, lace, tassels, fringe, and pleats. Topped with some gum paste “paper” flowers. 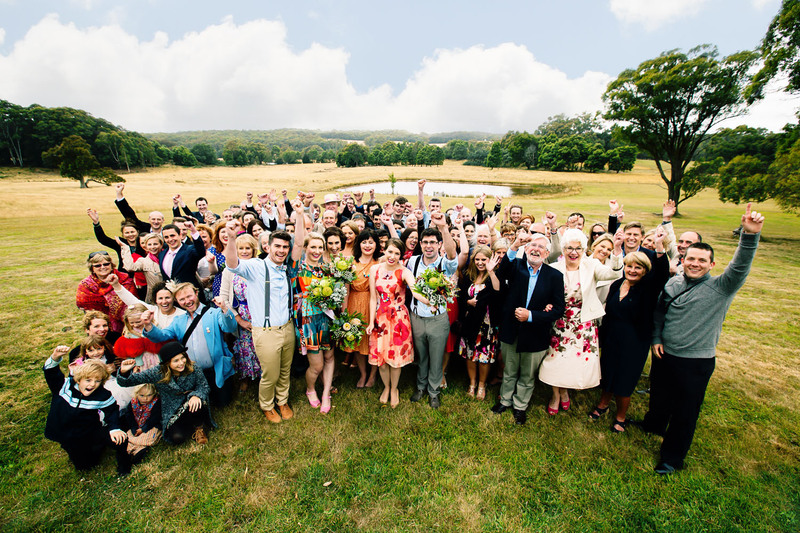 I love how full of personality this wedding is! They deserve a cake that is as nonconforming as they are. That’s why my flavor choice would be a roasted pineapple cake with cinnamon frosting. Nom. 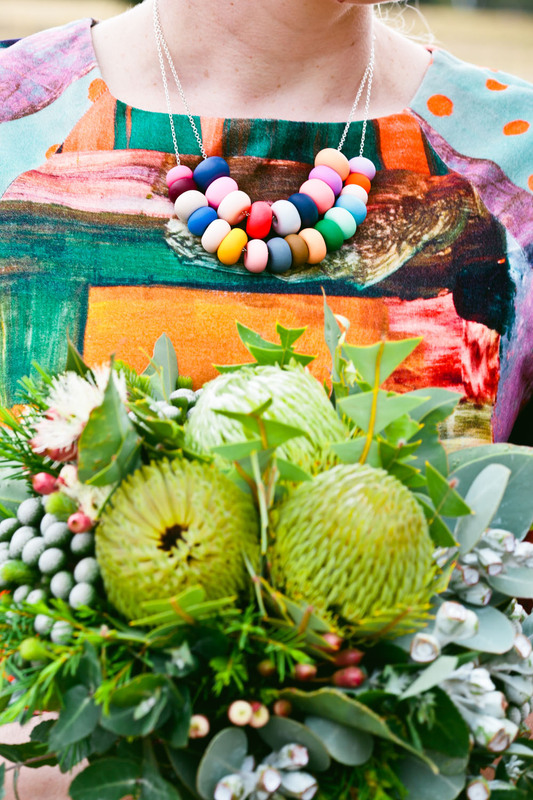 Beautiful photos compliments of Structured Pieces. This entry was posted in Cake Designs and tagged bright, cake, colorful, design, dessert, fun, funky, pattern, retro, textured, wedding on April 28, 2012 by Lulu.